Ocean Blue beach house is the perfect location for a family holiday. 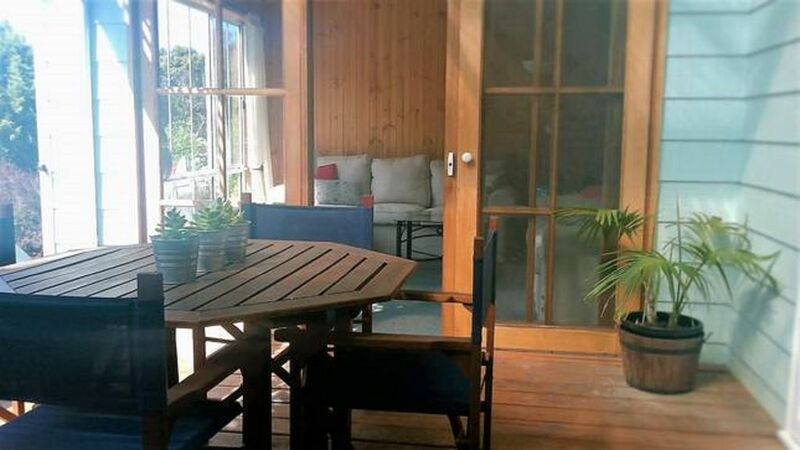 Walking distance to surf beach, local cafe and The Collendina Hotel that provides a family bistro and live music entertainment on a regular basis. Only a short drive to the main patrolled beach, cafes, restaurants, shops and supermarkets. Ocean Blue accommodates up to 6 adults + 2 children, queen bedroom with air conditioner, robe and ensuite, second queen bedroom with two-way bathroom and built-in robes, third with queen bed and built-in robes and fourth with two single beds with built-in robes. Separate lounge with split system, well equipped kitchen/dining with gas cooking, dishwasher, breakfast bar, split system air conditioner. Separate laundry with washing machine and dryer, a sunroom to enjoy those cooler days and an all weather patio to make the most of alfresco dining. A large secure rear yard, with gas BBQ and a single garage that can also be used for table tennis and dart board, both provided. Wi-Fi available. Well behaved pets are most welcome as the property has a secure back yard making your vacation with your pet an enjoyable experience. For further information or a booking request please send a message. We thoroughly enjoyed our stay!! This place had everything we needed to feel very comfortable. Extremely clean & spacious. Thank you Mary, you are welcome back anytime. We had a wonderful stay. Faye was very accommodating. The house was very clean and spacious. A great dog beach, cafe and pub up the road...what more could you want. Thank you! Fabulous Laura, so pleased you and your family enjoyed your stay. Very well appointed, everything we needed was there. The property is very clean and neat. It has all the household items you will need in both kitchen and bedrooms. Enough room for 3 couples easily with 2 outdoor areas and a sun room. A short scenic 15min walk to great surf beaches that are dog friendly. Shops are within walking distance and its a 5 min drive to Ocean Grove town center. We found the area to be quiet and friendly, which suited our holiday needs. Thank you for the review Russell, very much appreciated and would love to have you and Lisa back at anytime. Thank you for the great review and I am delighted you enjoyed your stay. A fantastic property that was well equipped with everything you would need. The kids enjoyed the table tennis and darts, the kitchen was well equipped, the cooling was great on the hot days and we had a fantastic stay. What a lovely place for a family holiday! It had everything we needed, plenty of room and very neat & tidy!